Students practice group tone and tonalization exercises, practice correct notes, learn more complicated rhythmic patterns, work in different chamber music pieces (duos, trios, quartets), tempo changes, dynamics, articulations, bow strokes, etc., review “old” pieces, preview new pieces, perform in front of the group at least once a month. 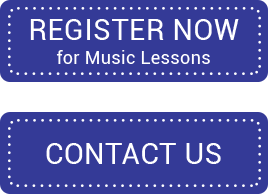 This course will reinforce basic technical and musical concepts. In addition, students will improve their listening skills as they learn to play their Suzuki pieces as a group. Students will also have the opportunity to perform their solo pieces for the rest of the class. Beginners are welcome! This Course is for more experienced guitar students. In addition to reinforcing technical and musical concepts, students will begin to explore the classical guitar repertoire as a group. Different parts will be assigned to small groups of students within the class to be played together as an ensemble. Students will also have an opportunity to perform their solo pieces for the rest of the class. Join cellists ranging from the novice to intermediate levels. Students will study music history, theory, and perform in a cello choir, developing ensemble playing and listening skills. This course is for all flutists who study at the Academy, and also welcomes non-Academy flute students who wish to have an opportunity to play together with other flutists. Participants will work on and perform pieces that involve varying levels of difficulty, allowing for students of all ages to be able to work together, to be inspired by each other and ultimately, to have fun making music. This class is a requirement for Suzuki flute students who can play Mary Had a little Lamb.